Kick off Cinco de Mayo with On Tap Magazine, Corona, Cantina Marina & The Wharf at the Fourth Annual Running of the Chihuahuas for Charity! Sunday, May 3rd from 1:00-4:00pm at SW Waterfront, DC- between 6th and 7th Street. 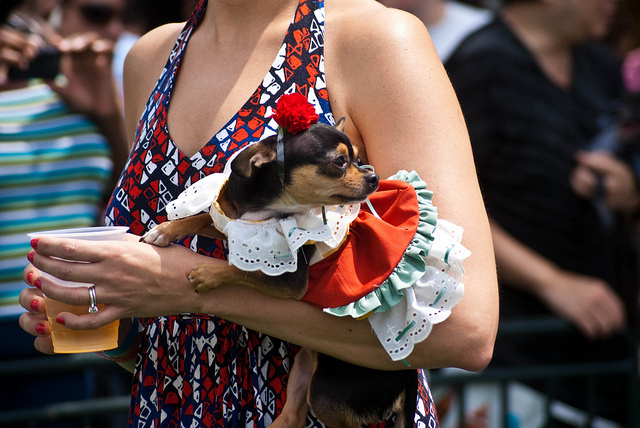 Enjoy Chihuahua races, food trucks, beer stands, dog contests at this family friendly event! $500 in cash and prizes for racers! Only $20 per dog to race, ALL entry fees are donated to local animal charities! Space is limited to 96 dogs and we anticipate selling out quickly, so be sure to reserve your spot now! Last day to register is Friday, May 1nd. Walkups on race day will be accepted, unless all spots are full. Don’t have a Chihuahua? You can still take part in the excitement with our all breeds contests for best dressed and best trick! All doggie competitors must have up-to-date vaccinations and leashed when not racing. Unruly dogs will be excused, and we ask that owners please pick up after their pets!